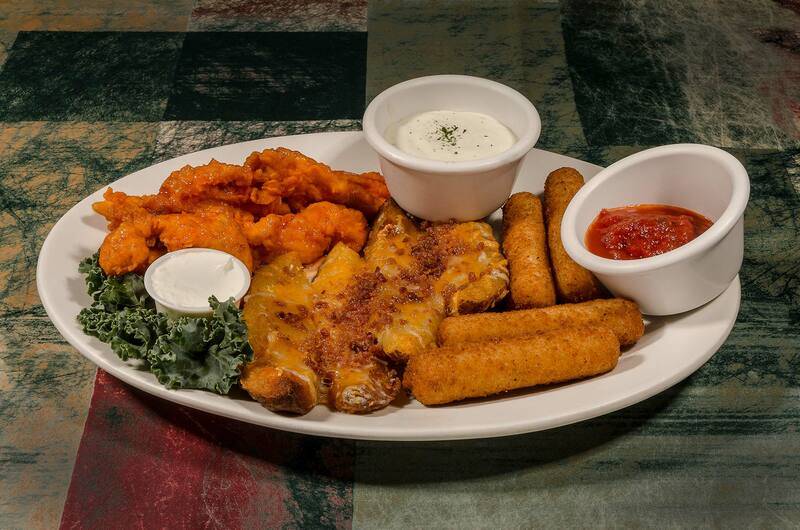 Buffalo chicken tenders, mozzarella sticks with marinara and our potato skins loaded with cheese and bacon. Share this one with the whole table! Our clam cakes are prepared like fritters, with chopped and minced clams folded into the dough. Served with our home mdae tartar sauce and lemon. Two six ounce certified angus beef burgers grilled to order and topped with your choice of american, provologne, or swiss cheese. Stacked on a grilled roll with lettuce, tomato, pickle and onions. Served with french fries. 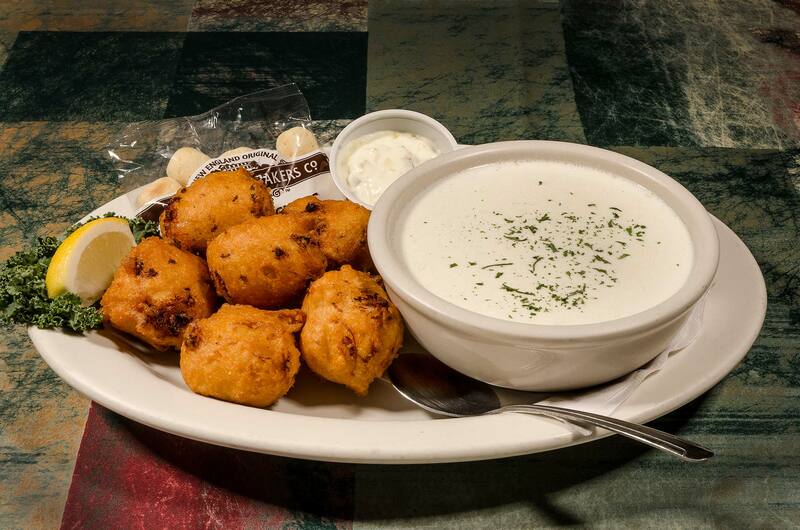 Half dozen of our home made clam fritters are served with a bowl of piping hot home made clam "chowda". Crab meat and shrimp are tossed with mayo and served on a bed of lettuce in a grilled roll. Served with french fries. We have a nice variety of sizes in our tank. We try to carry hard shell lobsters exclusively however they are not always available. Please ask your server for more information on today's selection. We bake meat from a fresh Maine lobster with sherry, butter, a little light cream and seasonings and crumb topping. Please check with your server for availability and please allow ample time for our staff to prepare your choice. We stuff a fresh Maine lobster with our home made seafood stuffing and bake to perfection. Please check with your server for availability and please allow ample time for our staff to prepare your choice.